3 Scientists whose work has shed light on the internal package delivery system of the cell - which ensures that vital chemicals are delivered to the correct cellular address at the right time - 2 Americans (James Rothman and Randy Schekman) and a German (Thomas Suedhof) have each won a share of this years Nobel Prize in Physiology and Medicine. The 3 have been rewarded with a prize worth $ 1.2 million. The Nobel Prize for Physics in 2013 has been awarded to peter Higgs and Francois Englert, a Briton and a Belgian for the Theoretical Discovery of mechanism that contributes to our understanding of the origin of mass of the predicted fundamental particle, by the ATLAS and CMS expreiment at CERN's Large Hadron Collider. The Nobel Prize in Chemistry rewarded to 3 Scientists Martin Karplus, Michael Levitt and Arieh Warshel for the Development of multiscale models for complex chemical system. 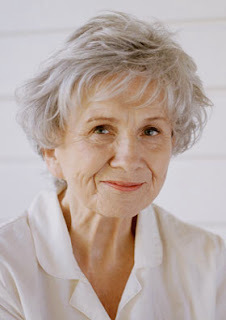 Canadian Alice Munro is awarded the 2013 Nobel Prize in Literature "Master of the contemporary story". He become the 13th women and 110th Nobel laureate to win the Nobel Prize for Literature. She was the first Canadian to win the prestigious honor. She will receive the prize sum of 8 million Swedish kronor ($ 1.24 Million). The global chemical weapons watchdog working to eliminate chemical arms stockpiles around the battlefields of Syria's civil war won the 2013 Nobel Peace Prize. 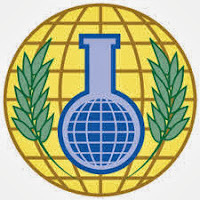 The Organisation for the Prohibition of Chemical Weapons (OPCW) is Hague-based autonomous body, which works within the framework of the United Nations, was established in 1997 by the Chemical Weapons Convention to carry out its mandate. Ahmet Uzumcu, is the current Director General of OPCW. There are 189 member states in OPCW. The Nobel Peace Prize has been awarded 94 times to 125 Nobel Laureates between 1901 and 2013, 100 individuals and 25 organisations. U.S. economists Lars Peter Hansen, Eugene Fama and Robert Shiller won the Nobel Economics Prize for groundbreaking work on spotting trends in asset markets, the jury said.The economics prize is the only Nobel not originally included in the last will and testament of the prizes' creator, Swedish scientist and philanthropist Alfred Nobel.It was established in 1968 by the Swedish central bank to celebrate its tricentenary, and first awarded in 1969. The other prizes have been awarded since 1901.